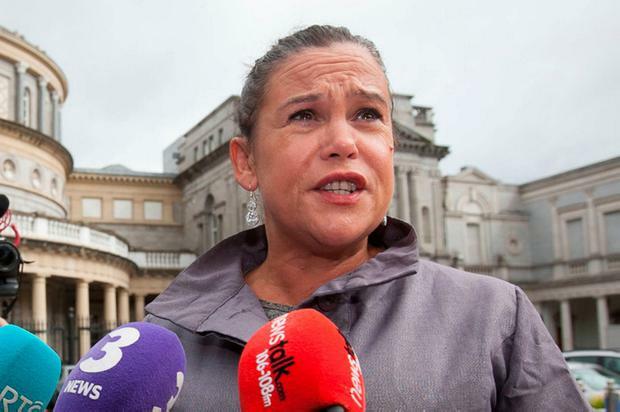 Mary Lou McDonald has broken her silence on Sinn Féin MP Barry McElduff’s offensive tweet about the Kingsmill massacre calling it “very crass”, “very stupid”, “very hurtful” and “unforgivable”. However, she defended the punishment of three-months suspension with pay handed down by the party insisting that it is “appropriate and proportionate”. 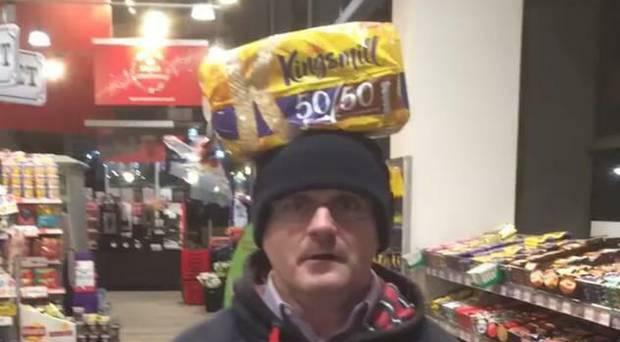 Mr McElduff posted a social media video of himself with a loaf of Kingsmill bread on his head on the anniversary of one of the murder of ten Protestants in 1976. She said he is “contrite” and that Sinn Féin has disciplined him. “It is very clear that we do not tolerate behaviour like that,” she said, speaking on RTÉ Radio’s News at One. It was put to her that the suspension of Mr McElduff was “meaningless” as, like all Sinn Féin MPs, he doesn’t take his seat in Westminster. Ms McDonald argued that anybody in political life would understand that a three-month suspension from their party is “a significant disciplinary action”. The reasons she gave were that the tweet was removed from social media and that Mr McElduff “takes full responsibility" for the incident. “He acknowledges fully that whether intended or unintended grave hurt, grave offense, was caused to grieving families and that that’s not acceptable," she said. Ms McDonald was asked how the power-sharing executive in Northern Ireland can be re-established given the break-down in trust between Sinn Féin and Unionists over the McElduff controversy. Ms McDonald claimed that the DUP has used “every pretext to block political progress” since the Executive collapsed last year and she hoped they would “change that orientation” in 2018. She added: “I do not for a moment defend the tweet, the very crass, very stupid tweet from Barry McElduff. “I accept that he is most apologetic and contrite. “He has been disciplined. It is absolutely appropriate that any member of any political party, including Sinn Féin who causes hurt like that is disciplined”. Callers to RTÉ Radio One's Liveline expressed outrage at Mr McElduff's Kingsmill tweet and Sinn Féin's response to it. One caller, Betty Mitchell, called Mr McElduff's tweet "scandalous" and added: "Nobody should vote for him full stop." She also said: "Thanks be to God we've got peace in Ireland". She added that Mr McElduff "shouldn't be in the position he's in if he can't give a bit of thought to the sensitivities that are needed in Northern Ireland at the moment." Another caller, Kevin O'Connor, described the three-month suspension from Sinn Féin imposed on Mr McElduff by the party as "a joke". Orla from Kildare, said she believes Mr McElduff's tweet was "wrong and insensitive" and he should be "kicked out of the party". She said she has voted for Sinn Féin in the past but the incident has changed her opinion of the party.